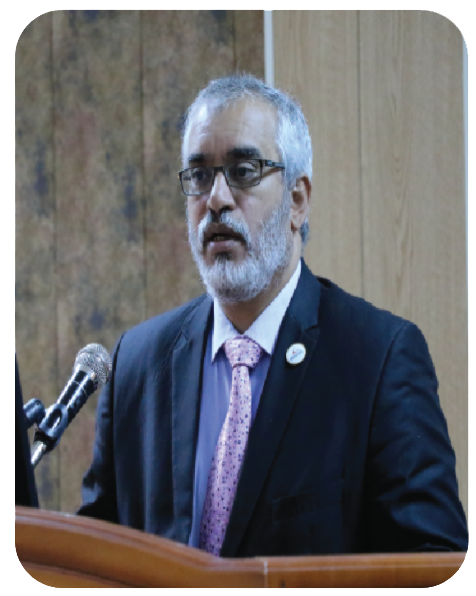 The Libyan International Medical University (LIMU) represents the courageous initiative and the serious successful attempt to elevate and steer the high education sector away from the current national bad status. A group of Libyan experts have taken this initiative in 2007 to contribute to the national scientific advancement and educational improvement that Libyan students deserve. LIMU is based on the latest developments of learning strategies and is devoted for research and community service. As a result, the University is now bearing the burden of realizing the change, causing the development and meeting the Libyan aspirations for best achievements in education and health care systems, knowing that the contemporary world is experiencing an unprecedented scientific advancement in all aspects of life as it has never been expected nor imagined, neither in speed nor in content. It is becoming a formidable task to stay competent, and no doubt that education is the gate for the future, and hence the need to fulfill the future requirements of education namely of lifelong learning, mastering new technologies, entering the digital era, choosing quality over quantity and improving investigative and creative skills, by adopting modern and reliable teaching methods to move away from relying on transferring factual knowledge, the traditional rot learning strategy (teacher centered education) to the self-regulatory active learning strategy (student centered education). We do embark on all of that challenge not for the sake of imitating others but because of the necessity that our competitive contemporary world and future needs.